Norwegian lawmakers are working on a bill to introduce a national ban on begging in the streets and even want to extend it by proposing jail for helping the homeless with money, food or shelter. According to the draft of the law, begging in the streets will be punishable with fines and even imprisonment for up to one year. This was the original plan when the draft first emerged in June. After further amendments, the same punishment may now hold true for those who give beggars money or offer any help, local media report. The bill was sent for more consultations until February, 15. Plans to fight begging appeared last year after the polls showed that more than 60 percent of the population said it should be considered a crime. The government report stated there were up to 1,000 beggars in the country, which has a population of five million, and the majority of them were foreigners who “work” in groups. 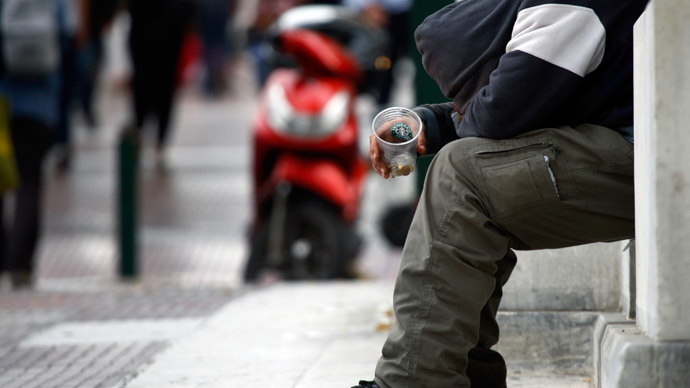 Last year local councils got the right to ban begging in areas under their control but the new law is to be put into effect in the whole country. The authors of the law also state it is necessary to punish people aiding beggars, as the police need the authority to prosecute those running begging networks as an organized business. “That’s because part of what we want to get rid of is actively organized,” Vidar Brien-Karlsen, Secretary of State at the Ministry of Justice, said as cited by the Local. “We need to give the police the legal authority to crack down on people who arrange for beggars to get here, often in large groups”. Still, numerous opponents say the ban touches the most vulnerable inhabitants of the country which is inappropriate and criminalizes poverty. “Europe’s richest country criminalizes Europe’s poorest people," Karin Andersen, an MP for the Socialist Left Party, wrote on her Twitter account. Opponents also say that the law is too broad to define the real cases of helping the beggars. The law could possibly affect the work of volunteers who can be prosecuted due to the bill. However, some of them said they would continue to help homeless people.